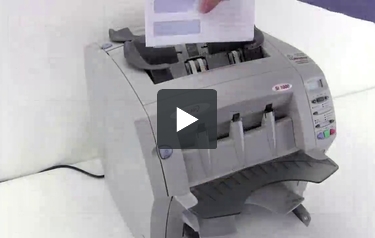 Automate your document folding and envelope stuffing tasks with these awesome automatic inserting systems. These units offer cutting edge technology providing, reliable, flexible, and dependable automated inserting solutions for your mailing workflow. These user-friendly machines are capable of collating, folding and inserting multiple documents into envelopes as well as sealing them shut. They offer unmatched flexibility with inserting sheet paper as well as BRE's, pre-folded material and cards. No matter what your application, there is an inserter specially built for your needs. Plus, our equipment is capable of growing with your demands at rates of up to 4,500 inserts per hour and up to 150,000 inserts per month. Speed: Up to 1,350 env/hour. This is MyBinding video. If you need to automate your document folding and envelope inserting, we’ve got machines for you. Small and large, we carry machines from SeCap, Formax and may other companies. These inserters offer cutting-edge technology, providing reliable, flexible and dependable automated inserting solutions for your mail and form insertion workflow. Folding, collating, inserting, even moistening envelopes, we can do it. Here at MyBinding, we pride ourselves in customer service so give us a call and we can walk you through any machine and help you find exactly what you need and what is best for your business. From a couple of thousands to forty thousand, we have a machine for you. When image matters, MyBinding.